Saint Laurent’s latest collection features rock and roll glamour, with a healthy dose of sophistication. There were so many gorgeous looks, so it was really hard to choose which looks to draw. This is how I want to dress this fall! High quality prints of this illustration are currently available in my Etsy shop. Click here for details. Knee boots with midi lengths, have done that for a while. The softer fabrics and silhouettes are quite Ralph Lauren, in terms of the feel and tones. I would love to wear a combination like this in spring. I agree, you are so on point about the silhouette being reminiscent of Ralph Lauren. I like follow couture. Some eyebrows were raised about damaging effects of fashion. However some of the best art I’ve seen have sashayed down catwalks. Looking at the atelier behind the scenes videos has also been educational. 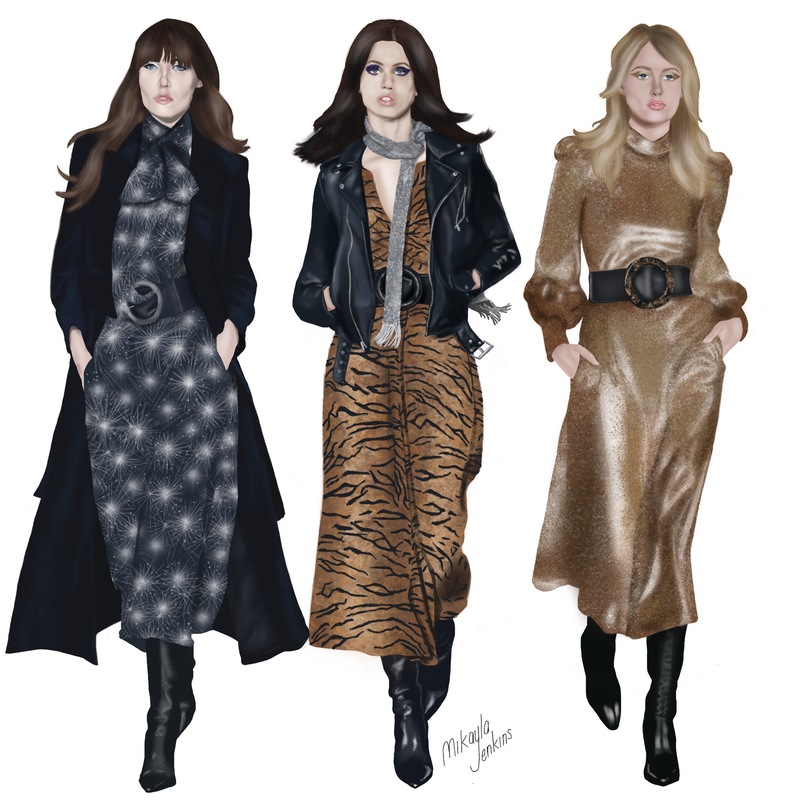 These looks are really glamorous and edgy, and you’ve drawn them beautifully Mikayla. I really like the way you’ve captured all the details on the fabric, and the way it gathers and drapes.